There are 2 kinds of payment to get the Vietnam visa on arrival or Vietnam visa approval code. The first payment is to process the application of the visa approval letter. The other is to pay at the airport or at the Vietnamese Embassy/Consulate for the stamping fee. The application fee includes all fees charged by the Vietnamese Immigration Department for the obtainment of approval letter and our service charge. Stamping fee applies to all visas and shall be clearly informed by the Vietnamese Immigration Department. This is processed directly by government officials at immigration counters in the airport. Stamping fee to be paid in USD or VND, however USD is highly recommended to avoid unbalanced exchange rates at the airport. The stamping fee for Vietnam Visa approval code will be paid directly at your noted Embassy/ Consulate to get your visa stamped. This fee does vary depending upon the country (normally, upward US$45/applicant). These above fees are applied for both adults and children. Normal process is 3 working days, urgent process is 1 working day. (Contact us at visa@evietnamvisa.net for details). 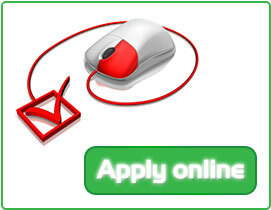 The application fee is refundable in case your visa application is not approved. To support your online payment, we have integrated 2 systems at your choices, please choose one of them in order to complete your payment. We guarantee that your information will be kept confidential and secure during and after the process. PayPal is the safe, easy way to pay. You can use your credit card or bank account without exposing your account numbers. First, you need to create a Paypal account then you can link your credit card or bank account to your PayPal account so you don't have to enter your card number on our website if you don't wish to. Just log in to PayPal send your payment to our paypal account and everything is done. The payment is even quicker with Onepay system. You only need to input card information on the website and your payment is already done. This information is stored and protected by MasterCard following PCI Security Standard. OnePAY protects it by maintaining physical, electronic and procedural safeguards. Payment portal OnePAY accepts cards Visa, MasterCard, Amex, JCB.